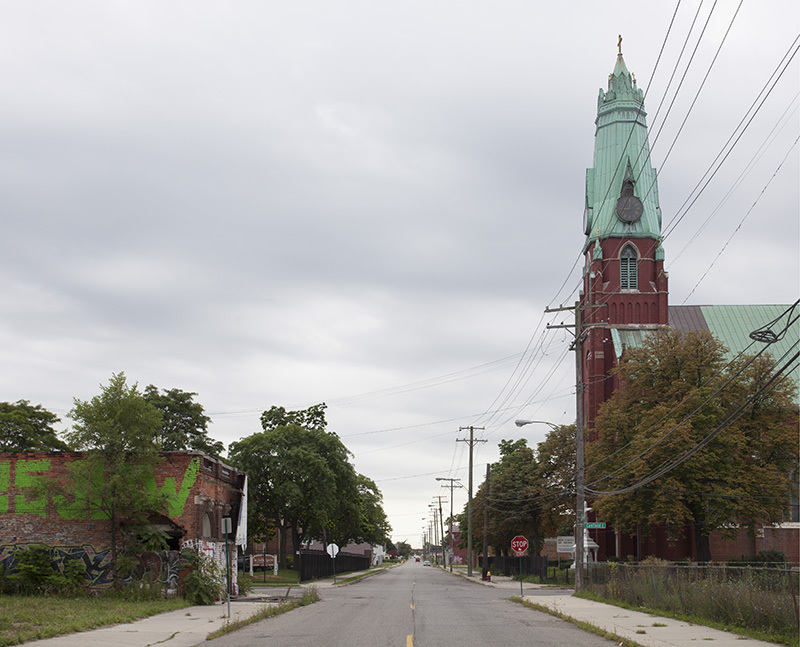 The loss of large industrial plants like those of Packard, Hudson, and Dodge starting in the 1950's had a devastating effect on the east side of Detroit, where most factories were located. 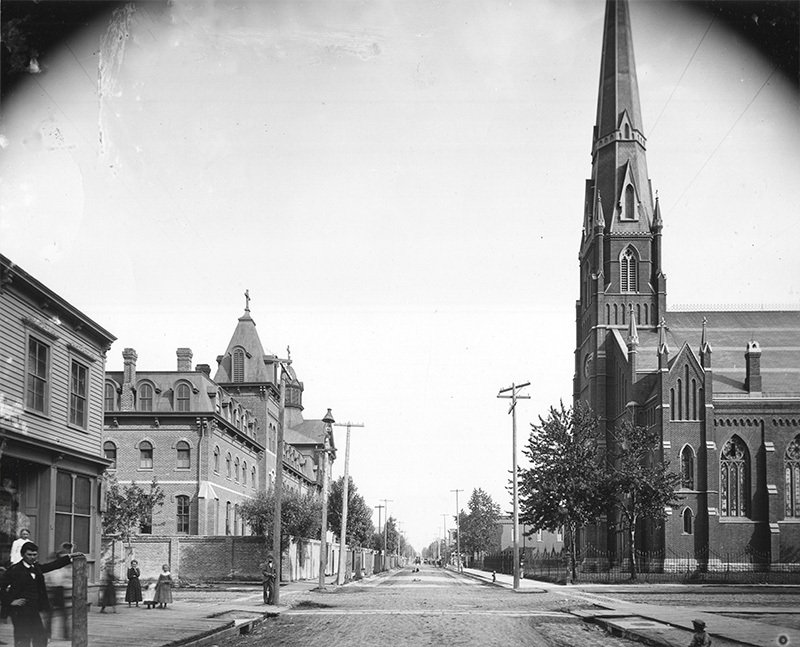 St. Albertus Catholic Church was the spiritual and social center of the neighborhood of Poletown, once home to over 40,000 Polish immigrants. Today just a handful of Poles remain on St. Aubin Street, though the church has been saved by a historic association and holds mass at least once a month. A project of . Contact us here.